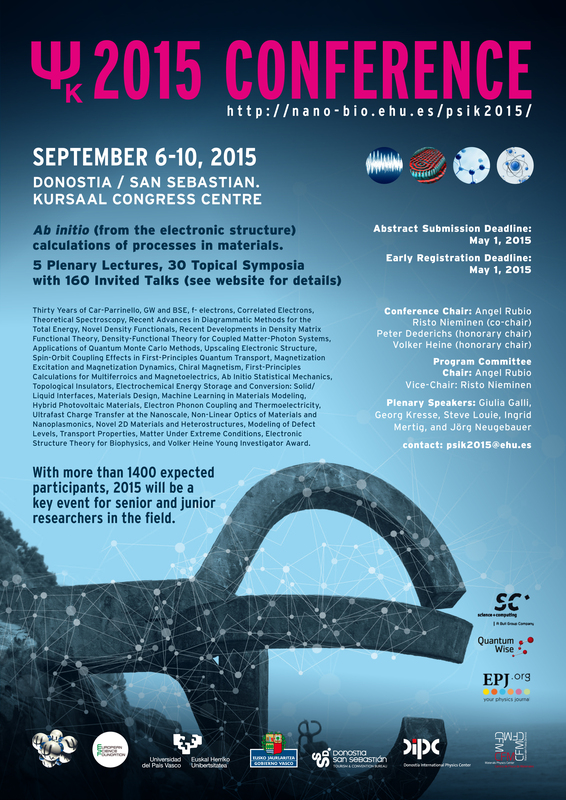 This year I organize the “Non­Linear Optics of Materials and Nanoplasmonics Symposia” at the PSI-K conference in San Sebastian, together with Myrta Grüning and Valerie Veniard. We selected the following people as invited speakers: Stefano Corni, FJ Vidal and Pablo García, Alberto Castro, Stefano Ossicini and Kazuhiro Yabana. 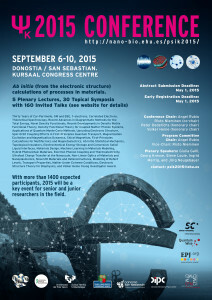 I invite all people interested in non-linear optics and nano-plasmonic to join our session and submit their abstracts before May 1, 2015. This entry was posted in conferences and tagged nanoplasmonics, non linear optics, psi-k conference on 12/04/2015 by attacc.